Our goal is to provide a quality and enjoyable learning environment that positively encourages and develops the body, mind, and spirit. To build a successful gymnastics program where our student-athletes are encouraged to develop their individual skills as well as the opportunity to develop to their fullest potential with an emphasis on fun, sportsmanship, and safety. We want all our athletes to feel good about themselves and what they can accomplish. 2015 was an exciting year for the Bears. The Bears won their first League Championship in 17 years (1998). The 2015 team was led by senior Remington Mahlum, senior Brittin Warne, junior Kiree Lowe, freshman Skyy Vang, and freshman Taylor Hohenbrink. This year the team will be led by Skyy Vang, Taylor Hohenbrink and Mckenna Chaney. These young ladies are working hard for a repeat. 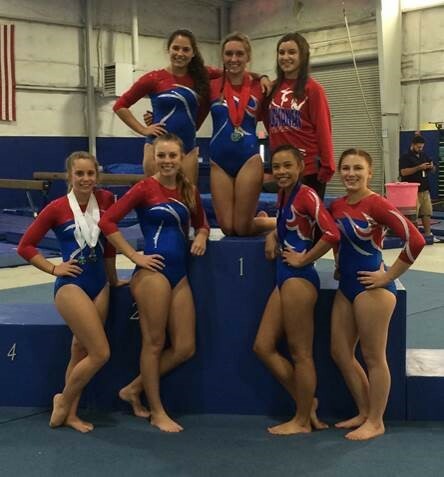 For more information on Buchanan Gymnastics, contact Shannon Moser at shannonmoser@cusd.com.